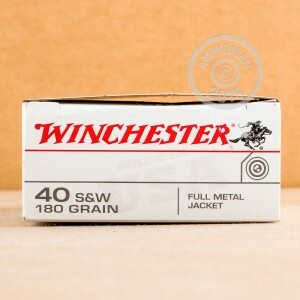 This Winchester "white box" ammunition makes an excellent practice load for your .40 S&W pistol. 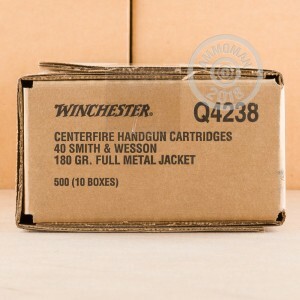 Packaged in an economical 500 round case, these cartridges fire a 180 grain full metal jacket bullet at a muzzle velocity of 1,020 feet per second, very slightly faster than the average 180gr. 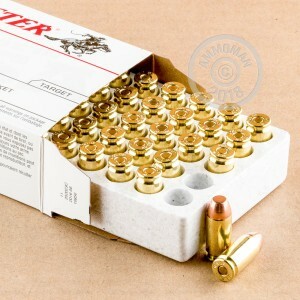 load for the .40 Smith & Wesson. AmmoMan.com offers free shipping for all orders over $99 including most cases like this one! Shot 2 boxes at the range this week. No issues at all. I would definitely recommend this product to anyone.